Cosmos allowed us to share the awesome power of the universe with a global audience in ways that we never thought possible. To be able to continue to spread wonder and excitement through Star Talk, which is a true passion project for me, is beyond exciting. And National Geographic Channel is the perfect home as we continue to explore the universe. 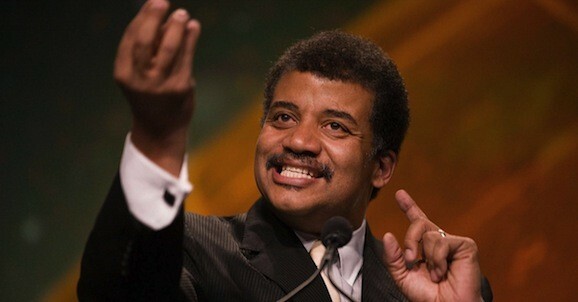 After the global success of Cosmos as one of the most watched series in our history, we are thrilled to be partnering with Neil again on Star Talk — his wildly popular podcast that transcends science and crosses over into pop culture — once again satisfying the audience’s passion for adventure and exploration. We continue to bolster our programming with series and event specials that are brand definitional, and Star Talk is the perfect opportunity to offer our audience an edgy, late-night alternative with the credibility and authenticity that are the hallmarks of our network. Star Talk is slated to debut in April (so I have some time to sort out my National Geographic situation), and it will air alongside a new special called Hubble’s Cosmic Journey. Get ready for this to become a big part of your life. They’re filming at the Hayden Panettierium? Save the cheerleader, save the… wait. ,should be the highlight of late night viewing.Do you think he’ll do a monolouge ?